Good news for the Android root crew, Cyanogen 7.1 is now a stable release. Cyanogen is the big name in custom Android ROMs because it has an extensive developer team including translators for various languages, great features, and a long list of compatible devices. Cyanogen 7.1 shows off all of those strengths. Under the hood, Cyanogen 7.1 has updated the base Android version to 2.3.7, meaning it gets all of the bug fixes that Google has been pushing out, and has updated the kernel to 2.6.37.6. There are also new Cyanogen features to enjoy like: Bluetooth mouse support, the ability to revoke app permissions, touch-to-focus in the camera app, and screenshots via the power menu. There are a bunch more features added, which you can find in the changelog. Also, if you want to try it out, there is also experimental support for Google Talk video chat, which even works on phones without front-facing cameras. We tried it out on a Nexus One, and it worked well aside from having to choose to see the person we were chatting with or letting them see us, since the N1 has no front camera. As we mentioned Cyanogen 7.1 is available for 68 devices, though not all are stable releases. The newly included devices supported include the entire line of Xperia devices; HTC Desire S, Incredible S, and Incredible 2; LG Optimus 2X and T-Mobile G2x; Motorola Backflip, Cliq / Cliq XT, Defy, DROID 2, and DROID X; Samsung Captivate, Fascinate, Mesmerize, Showcase, Vibrant, Galaxy S and Galaxy S2, and the ZTE V9. The Cyanogen team has also announced that the next version will be Cyanogen 9, because the Honeycomb code will not be made public, so they will be skipping over Cyanogen 8 and go straight to 9, which will be based on Ice Cream Sandwich. im new to android but i always wonder what does cyanogen do? 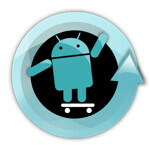 Cyanogen is a custom ROM which adds features to stock Android. The main drawing points for it are that it removes bloatware and manufacturer skins from devices, and also tends to push OS updates faster and to more devices than manufacturers usually do. For example, as noted in the article, the Motorola Cliq is supported with Cyanogen 7.1, and this would be the only way to get Gingerbread, because Motorola won't be bothering to push the update to that handset. ohh i see thanks for replying. Do you know any websites that show you how to do this? Ive been trying for hours but the instructions on some websites are so confusing. Cyanogen replaces your stock firmware, freeing your device from bloatware and adding lots of extra features. It goes off your account not your phone, so you should be fine. how about the samsung epic? new to android too....so how will i get this update for my S2? Seriously ? No Desire HD stable release ? Cyanogen just noted that 7.1 build for SGSII is no longer considered stable because of the various bugs it had.